Limestone Branch has unveiled a new label for their Yellowstone Select Kentucky Straight Bourbon Whiskey. Although the Yellowstone brand has been bottled for over a century, Limestone Branch has only owned the name since 2015. They’ve redesigned the Yellowstone Select bottle to emphasize the distillery’s connection with the brand, as well as give the label a more vibrant, eye-catching look. The new label keeps a similar layout, but swaps out the vintage-feel, cardboard color background for a more modern cream tone. This highlights the gold font, making the bottle easier to read. The distillery has also added their name to the base of the label in larger lettering. The new packaging will arrive on shelves next month, and will retain a suggested retail price of $40 for a 750 ml. bottle. 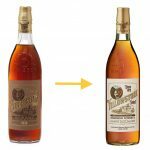 The post Limestone Branch’s Yellowstone Select Bourbon Gets a New Look appeared first on The Bourbon Review.